At the Orange Park dental practice of Matthew Nawrocki, DMD, every member of our team goes above and beyond to ensure patients receive the highest quality dental care in complete comfort without stress or pain. Dr. Nawrocki relies on his knowledgeable, experienced dentistry team to help him establish meaningful relationships with his patients founded on trust and respect. We know you’ll enjoy getting to know them in the office, and we hope you’ll take a few minutes to get started by reading their bios below. Call if you have any questions or you’re ready to schedule your appointment. 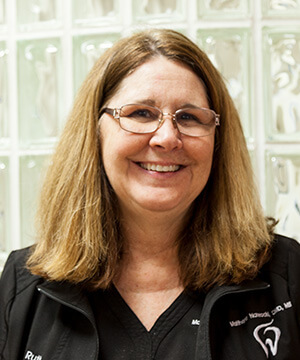 Linda has been working in dentistry for 38 years now, and she still loves getting to meet new patients and interact with them every day. Experiencing their excitement with their new smiles is always a wonderful feeling! She has her certification in radiology. Originally from Lansing, MI, Linda and her husband, Don, have a daughter named Erica, a son named Brad, and two wonderful grandchildren. Her hobbies outside of the office include gardening, spending time with the grandchildren, fishing, going to the movies, and traveling. She loves making people smile! Stephanie first joined our dental team a year ago, and she’s been working in dentistry for 32 years overall. She is certified in CPR and has undergone her OSHA and HIPAA compliance training. Her favorite part of the job is meeting and helping people on a daily basis! Stephanie is originally from Elgin, TX. Her husband, Herman, is retired from the Navy, and they have a full-grown daughter named Angelique and a son-in-law named Angelo. When she isn’t busy at work, her interests include dancing, kayaking, horses, and working on projects to raise money for veterans and active duty military programs. She has a very mechanical mind and loves building things! 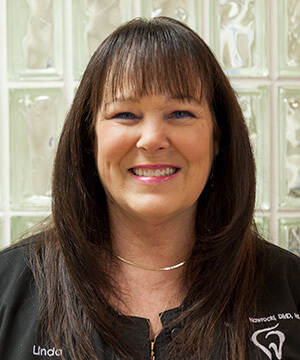 Sharon has been working in dentistry for 35 years and counting, first joining Dr. Nawrocki’s team five years ago. She attended Lexington Technical Institute and has both her EFDA and CPR certifications. What she enjoys most about her job is seeing all of her patients and helping to create new, beautiful smiles for them! Originally from Pikeville, KY, Sharon now lives in Orange Park. She and her husband Mike have three sons and three granddaughters. Her hobbies outside of the office include camping, reading, and spending time with her family. 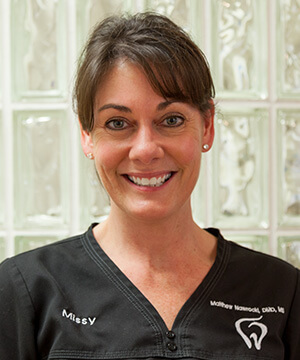 Missy is from Orange Park, and she received her education at Florida State College at Jacksonville. 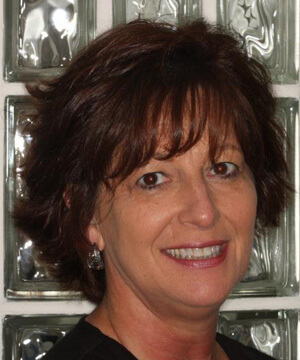 Today, she has been a member of our dental team for five years, with 26 years of overall experience in the field. She is certified to administer dental anesthesia. Meeting and spending time with patients is the best part of her job! She always enjoys informing them about their dental needs and how they can better take care of their smiles. Missy has been married for 24 years, and she has a daughter. When she isn’t busy at work, she enjoys running, yoga, and CrossFit. She actually lived in Australia for four years of her life! 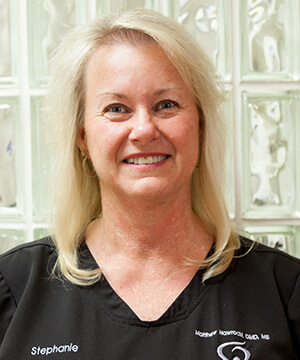 Originally from Green Cove Springs, Ruth has been working in dentistry for 38 years now, and she first joined our practice five years ago. She attended Tallahassee Community College. She thinks the best part of her job is spending time with patients and fulfilling their needs. Ruth and her husband, Darrell, have two children. Outside of work, she enjoys antique shopping and restoring, bike riding, doing outdoor activities, and traveling!